Ricky Junior Wilson was born September 10, 1962 in Nash County, North Carolina to Barbara Wilson Richardson and the late Julius Scott. Ricky transitioned from this earthly life on April 12, 2019 at Nash Health Care System. Ricky received his education in the Nash County School System in Rocky Mount, North Carolina. Ricky enjoyed laying concrete, singing, fishing, making others laugh, and watching his Cowboys team and Carolina team. Ricky was preceded in death by his father, Julius Scott, stepfather, Conrad Richardson, brother, Randy Wilson, maternal grandparents, William and Marjorie Kersey, paternal grandparents, David and Ruth Scott and uncle, Barry Richardson. 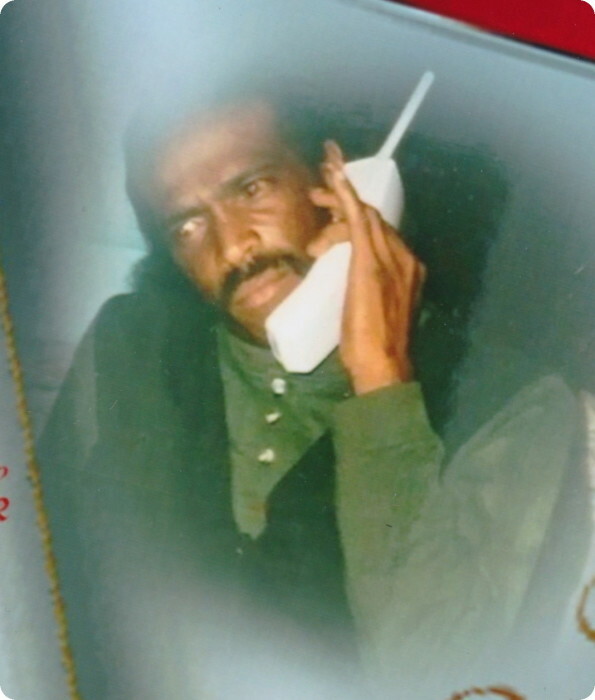 He leaves to cherish his memory: his son, Anthony Rickshaun Wilder of Nashville, NC; his mother, Barbara Wilson Richardson; five grandchildren, Anthony Wilder, Jr., Jahkee Wilder, Rahmir Wilder, Jesyan Smith and Jhalik Battle; one brother, Clifton Conrad Richardson; two nephews, Ke’Shaun and Caleb Richardson both of Nashville, NC; two aunts, Evella Evans and Ruth Ann Richardson; three uncles, Bobby Scott, Jerry Scott and Michael Scott; four great aunts, Rozelle Pettiford, Charlean Richardson, Dorothy Evans and Betty Marshman; one great uncle, Claudre Richardson; a host of other relatives and friends.